Martha Read Architects Ltd. is an architectural practice based in east London, established in October 2012, and specialising in residential projects. I have a wide experience of cultural, residential and commercial buildings and interiors of various scales and in various countries. Along with independent projects in London and southern California, I have worked at firms including Gehry Partners, Eric Owen Moss Architects and Zaha Hadid Architects. While fortunate to have worked on exciting and complex ‘signature’ buildings, I feel that it is often simple forms and natural materials, along with sensitive treatment of daylight, which achieve the best results. Above all I am interested in ways in which architecture can be inspired by and enhance – rather than compete with – its surroundings and the lives of its users. I occasionally write about architecture and design (click here to see a list of published articles) and was for four years on the faculty of the Southern California Institute of Architecture (SCI-Arc) in Los Angeles. Before training in Architecture at Kingston School of Art and the University of Westminster, I read Modern Languages (French and German) at New College, Oxford University. Gordon has 30 years post qualification experience as an Architect including work on cultural, residential, commercial, science and railway transport projects. He trained at Scott Sutherland School of Architecture in Aberdeen which has a practical emphasis on construction. Notable projects Gordon has worked on from early stages through to site include the late Ralph Erskine’s London Ark offices, Bermondsey Station for Ian Ritchie Architects in London, and the competition winning Museum of World Culture project in Gothenburg, Sweden for Brisac Gonzalez Architects. Gordon is particularly interested in applying ‘fabric first’ principles to meet energy requirements and to this end is a member of the Green Register which enables him to keep up date with best practice. In addition, Gordon has worked as a volunteer Architect in developing countries including Haiti. 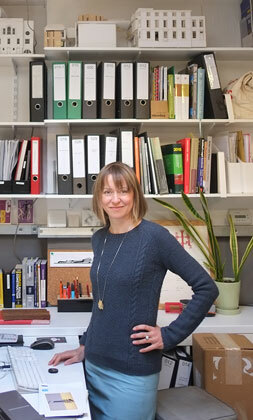 Gordon joined Martha Read Architects in 2014. Inigo received his degree from the Escuela Técnica Superior de Arquitectura at the University of Seville. During this period he was trained in the use of graphic design and modeling. He also has an extensive knowledge of 3D printing technology thanks to the FAB-LAB Seville workshop, followingi which he made his own 3D printer. Inigo spent his summers in England from 2002 to 2006 and returned in 2016, when he started at Martha Read Architects. His hobbies include digital photography, cycling, sailing and playing the electric guitar.